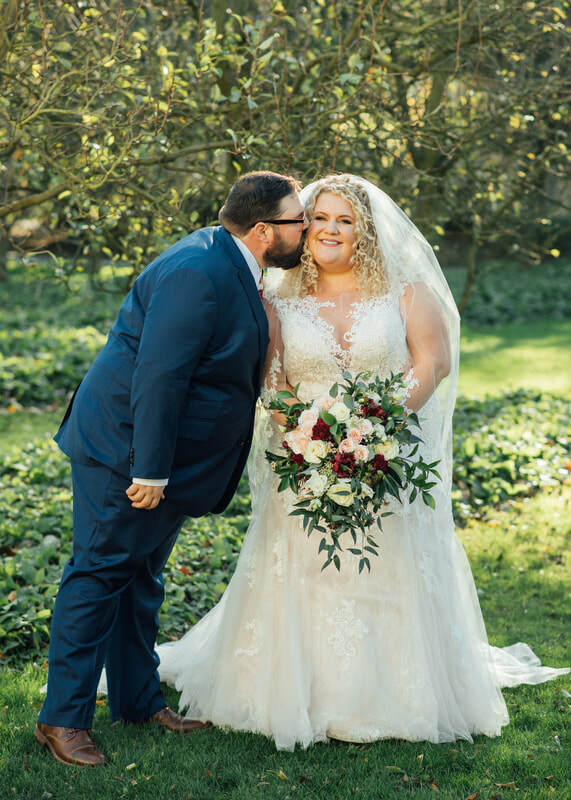 "Jessi did an INCREDIBLE job - it has been over 4 months since our wedding and people are still commenting on how gorgeous the flowers were. I wanted our floral to be our main statement/décor and she absolutely nailed it. She took what I had as a vision and made it come to life and more. I am still astounded by the work she did and would do anything just to live through all of it again :) She was easy to work with, responds quickly, and made everything so easy on our end. Thank you, Jessi for the best flowers a bride could ask for!" ​"Jessi is absolutely phenomenal. She is so friendly, sweet, personable, and available (huge bonus!) during all interactions leading up to and on the day of the wedding. As a wedding professional, she understood and gave advice when asked about issues we were contending with, and she expertly worked with other vendors at our out-of-town wedding to create some of the most amazing flower arrangements, bouquets, and boutonnieres that people are still talking about. I have referred her to two other couples in the two months since our wedding, and would advise anyone to not hesitate to give her a call immediately, as she will book up fast. Easily one of the coolest, most talented, most genuine, most trustworthy persons working in the industry, and for someone who initially thought she didn't even want flowers, I was positively elated with what Jessi created." "Wow! Amazing service start to finish. The moment we met I knew I wasn't going to meet with anyone else. She is so sweet, fun and professional! She thought of everything. I really did not know what I wanted so I gave her my colors and theme and boy did she deliver. The bouquets were better than anything I could have imagined. And they lasted for ever after our wedding day! She made our fall/rock n roll wedding arrangements so unique and special. This was my favorite part of all of the wedding planning and decor. Thank you Jessi, I can't wait for another event/excuse to work with you again!" 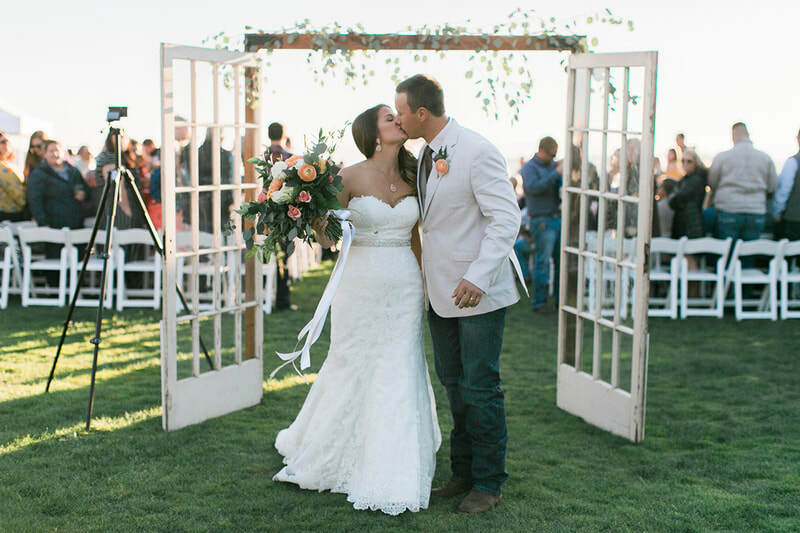 "Jessi was amazing to work with for our wedding floral design! The minute I met with her I knew she was tasteful, detail oriented and creative! She listened to my vision and made it come to life! She was flexible when I needed to change my contract. She delivered the most incredible flowers on my wedding day! I couldn’t have asked for a better experience." 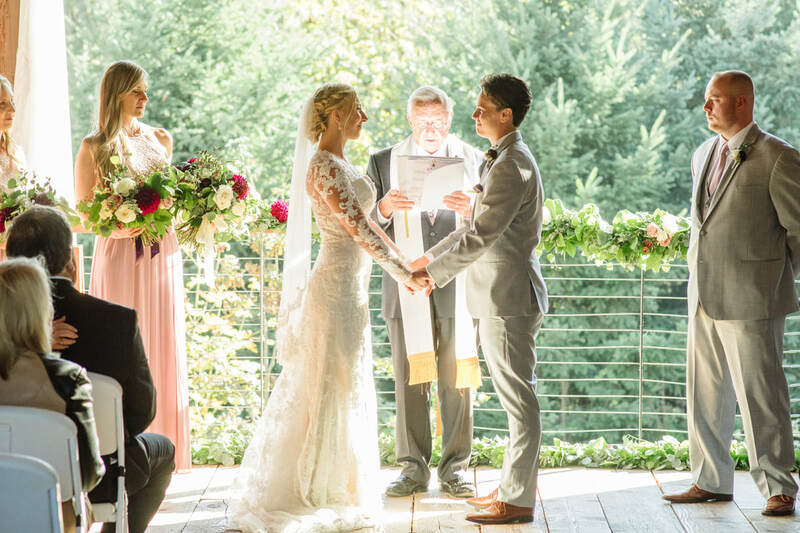 "Jessi seamlessly delivered a gorgeous, modern bouquet that I described, along with several fresh garlands and personalized pieces for our wedding party. And they lasted so long that I kept them for weeks after! She came to the venue early in the day to ensure everything looked right and styled them perfectly. I would recommend her services for any size event (huge wedding to dinner party flowers) to anyone and loved working with her. She is friendly, responsive, calm and creative!" "Wow - so lucky am I to come out of my wedding flower experience with such positive feelings. First off, I had so much fun working with Jessi. She's bubbly, personable, and not to mention knows her flowers. All I really had to do was tell her the vibe I wanted at my wedding and my colors and we had a great place to start from. She gave me flower options that were less expensive, versus more expensive and I truly felt like I was shopping with a friend for flowers. The bouquets were stunning, the centerpieces were stunning, and all the little details to boutonnieres, flower girl hair accessories, and petals down the aisle were top notch. I'm so glad I found Jessi to do the flowers at my wedding - we had so much fun throughout the entire process - and what more could you ask for amidst the wedding planning process? :)"
"I used Jessi for my bouquets and she was absolutely fantastic! She completely worked with me on my budget and made the process as easy as can be. I put a lot of trust in her to create something beautiful and she more than delivered. If I can give any advice, share some inspiration photos with her, trust in her talent and you'll be delighted with the results." "I hired Jessi after waiting 2 or 3 weeks for my other florist to get me a bid. We sat down and talked about everything, and she had the work up to me in about 3 days. She was very quick to respond to all of my emails and very accommodating when I changed my mind every other day about the flowers. It was very hard for me to visualize what I wanted in my bouquet so I told her colors, I absolutely HAD to have a cascading bouquet, I didn't want wimpy bridesmaid bouquets either, the flowers I loved and hated, and showed her 2 Pinterest bouquets that I adored. She created the most perfect combination of flowers, colors, and textures. I was absolutely in LOVE with my bouquet, I was teary eyed when she brought it in!! I cannot even explain how perfect it was. I still stare at the pictures of it and my friends and family still talk about what a gorgeous and amazing bouquet I had. There is nothing negative to say about her and I have already recommended her to several friends and will continue to do so until she doesn't work anymore!!!" "Jessi did an amazing job on my flowers!!! She listened to my ideas, stuck to my budget, and she was easy to work. The flowers and centerpieces were beautiful. They were exactly what I had envisioned, classy and romantic. She is knowledgeable and passionate about her work. I highly recommend her!" "If you are planning a wedding, you must have Jessi do your flowers. She is an amazing florist and has a keen eye for design and decor. I had an Indian inspired wedding and gave Jessi an outline of what I would like and on the day off the wedding, Jessi's arrangements were beyond gorgeous. Jessi will work with your budget and is just a fantastic person to work with. I highly recommend Jessi, she is great to work with and if I lived in Oregon, I would have her do flowers for all events." "I could not have been happier with my flowers from Tall Drink of Water! Jessi was so easy to work with, meeting with me and then emailing with pictures and ideas to make the flowers perfect for my big day. She was flexible and punctual on my wedding day and when the flowers arrived, it completely made my day. I may be biased but I think they were the most beautiful bouquets I have ever seen in a wedding. Great flowers, great value, and SO easy to work with! Thanks for everything!" Jessi did an amazing job on all of my floral designs and exceeded all my expectations. I was blown away at her work of art. I would highly recommend to anyone! "Jessi was awesome! She was very quick to respond with email, kept me up to date, and came up with a perfect vision of what I wanted for my day. I didn't give Jessi very much info--just that I wanted sunflowers, purple, and simple. She created amazing looks and I was very happy!" "When it comes to wedding flowers, Tall Drink of Water is the place to go! I was so impressed with Jessi's ability to make my hazy vision of what I wanted for flowers a beautiful reality! Her professionalism, prompt responses, and ability to work within my budget was quite impressive!! I would recommend her services to all my closest friends." "I chatted with Jessi a few times and she asked great questions to help me figure out what I liked (and didn’t). I felt comfortable to give her free rein and be creative. Her Pacific Northwest meets island girl concept was beyond perfection. After my dress, I got the most compliments on the gorgeous arrangements."